A parliamentary report of 1777 recorded parish workhouses in operation at Deal (with accommodation for up to 115 inmates), Nonington (15), Sandwich St Mary (36), Sandwich St Peter the Apostle (24), Sandwich St Clement (30), Ripple (4), and Wingham (15). 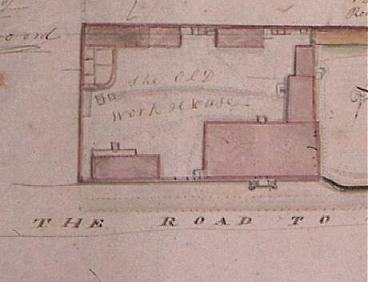 Ripple had a workhouse from 1628 when two cottages were erected for the purpose on land given by John Gookin of Ripple Court. The cottages survived until 1888 when they burnt down and were not rebuilt. The land on which they stood became a garden for parishioners, two being chose each year to occupy it. 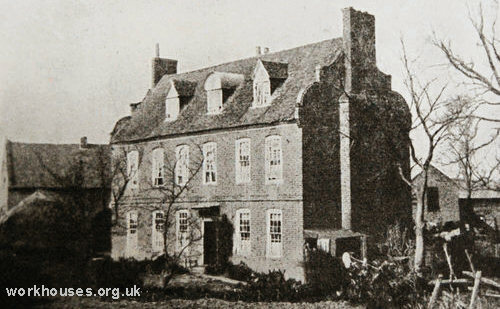 Eastry was part of a Gilbert Union formed under Gilbert's Act of 1782 which provided a variety of powers including the operation of a workhouse for the elderly, infirm and children. 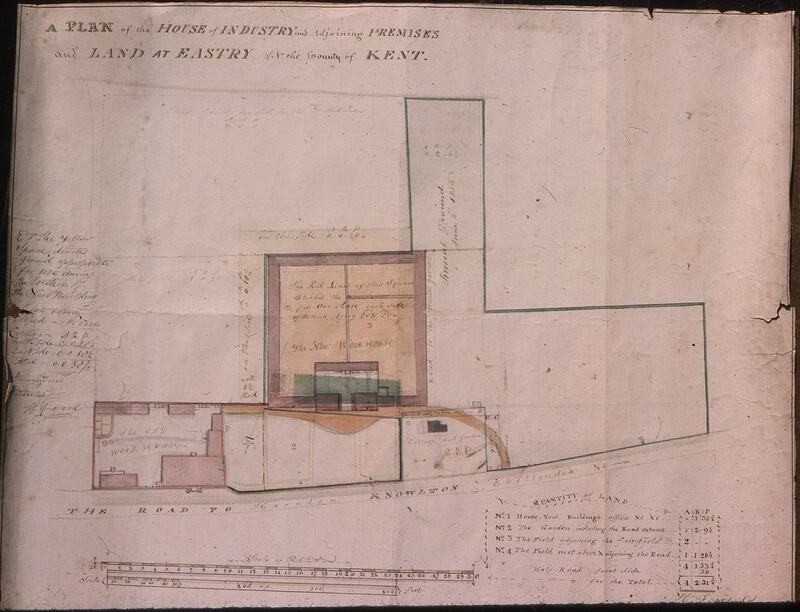 The Union erected a workhouse at the south side of Mill Lane in Eastry. Its layout is shown on a plan for the new Poor Law Union workhouse by which it was replaced. It appears to have consisted of a main house in the north-west corner, with half a dozen smaller blocks around a central yard. Woodnesborough's parish workhouse stood at the east of Woodnesborough village, just off The Street. The property and its surrounding land, now Street Farm, was known as Workhouse Farm well into the twentieth century. The former workhouse survives as Street Farm House. Its location is shown on the 1870s map below. Woodnesborough former workhouse site, 1873. County of Kent: Ash (2), Barfeston, Betshanger otherwise Betteshanger, Chillenden, Eastry, Elmstone, Eythorn, Goodnestone, Ham, Knowlton, Great Mongeham, Little Mongeham, Nonington, Northbourne, Preston next Wingham, Ripple, Sholden otherwise Shoulden, Staple next Wingham, Stourmouth, Sutton by Dover, Tilmanstone, Waldershare, Walmer, Wingham, Woodnesborough, Word or Worth. These were joined on 6th April 1836 by: Deal (2 Guardians), Sandwich St Clement's (1), Sandwich St Mary's (1), Sandwich St Peter's (1). The population falling within the enlarged Union at the 1831 census had been 23,870 with parishes ranging in size from from Betshanger (population 20) to Deal (7,268). The average annual poor-rate expenditure for the period 1833-5 had been £21,177 or 17s.9d. per head of the population. The entrance block was to the north of the site. Two-storey blocks were arranged around a large courtyard to the south. Eastry from the north-west, 2001. A separate three-story infirmary block together with detached fever wards was erected to the south of the workhouse in 1871. 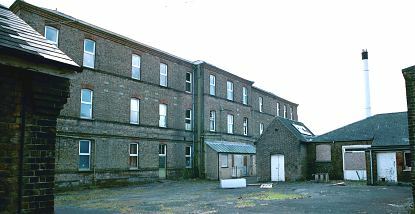 Eastry infirmary block from the north, 2001. Eastry general view from the south-east, 1970s. 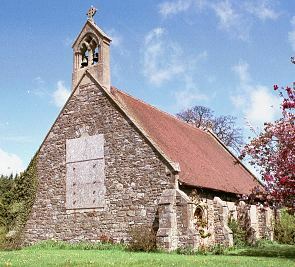 A chapel was built close to the road immediately to the north of the workhouse. 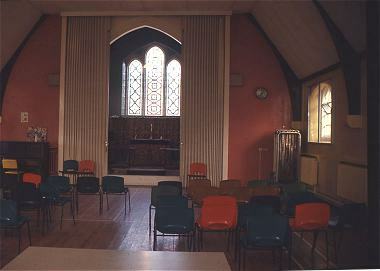 Eastry chapel from the south-west, 2001. 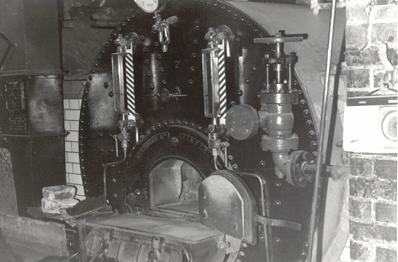 Eastry main boiler dating from 1920s, manufactured by Meldrums Ltd, Timperley. The workhouse's later layout is shown on the 1905 OS map. The first two floors of the main ward block within the quadrangle were known as Lower House and Upper House. 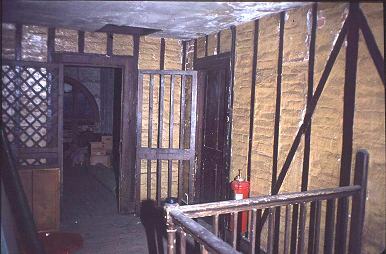 On its third floor, several of the doors had strong bars. Eastry workhouse, "Upper House" top floor interior. 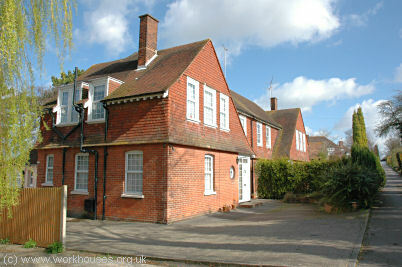 The former workhouse later became Eastry Hospital which became a centre for the care of those with learning disabilities. The hospital has now closed and the site is being redeveloped. 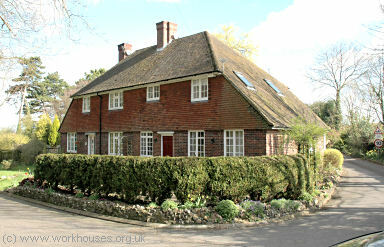 A group of cottage homes had been erected about half a mile to the south-east of the workhouse by the mid-1930s by which date Kent County Council had taken over the former union's poor relief responsbilities. Eastry cottage homes site, 1936. Eastry cottage homes, date unknown. 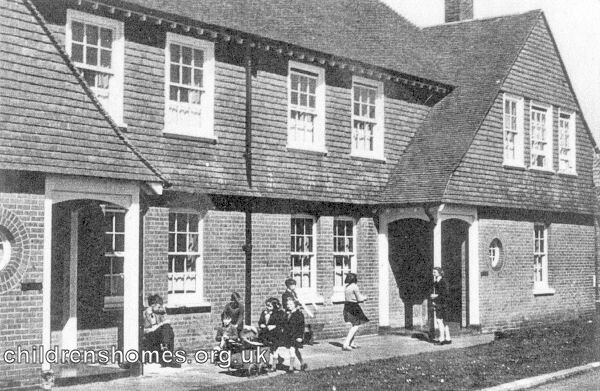 The cottage homes, later known as Eastry Children's Home, have now been turned over to residential use. Eastry cottage homes children's house, 2001. Eastry cottage homes entrace building from the south, 2001. 1861 — Master: John Rigden (age 41); Matron: Fanny Rigden (31). Kent History and Library Centre, James Whatman Way, Maidstone, Kent ME14 1LQ Holdings include: Gilbert Union ledgers (1824-35); Guardians' minutes (1835, 1839-1930); Admissions and discharges (1835-1900); Casuals admissions and discharges (1911-29); Births (1837-1914); Deaths (1835-1914); Creed registers (1871-1931); Lunatic reception orders (1890-1906); Porter's admissions and discharges book (1899-1928); etc.